For anyone out there struggling to lose weight, there is hope and help. The HCG diet has been controversial because it has been delivered using drops that don’t raise the level of HCG as well as people who are not well versed in understanding metabolism or the ability to medically monitor people on a low calorie diet. On a recent episode of Dr. Oz, Dr. Emma presented her findings and her results were similar to mine, the diet curbs appetite, weight loss is mostly fat and calorie burning muscle is spared. This makes it easier to take the weight off and keep the weight off. Having the knowledge and understanding of how to make adjustments to the diet for individual needs is important. Dr. Emma and I agree that you must vary the calorie amount based on size, activity and hunger. It is important to supplement with nutrients to avoid side effects such as cramps, constipation, or weakness and to allow some exercise to boost your metabolism and develop healthy habits. It is a very low calorie diet and recommended that a physician monitor you. Dieters report feeling great, clear headed, energetic and they are not hungry. Measurements show a loss of fat and inches. It really changes your body shape and body composition. Because muscle is spared, it is harder to regain the weight. You become a different person because muscle will continue to burn fat and fat loss lowers inflammation. 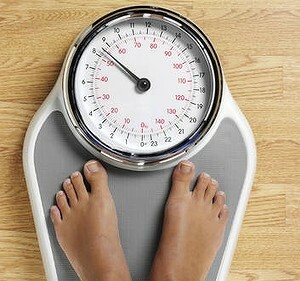 Many people can’t lose weight because of metabolic disturbances. It is important to address all of these on any diet. Toxins such as herbicides, pesticides and bisphenol A (BPA), hormones in meat, poultry and dairy, inflammation and food intolerances all contribute to weight gain as well as difficulty losing weight. Measuring and influencing insulin resistance, blood sugar metabolism, levels of cortisol, the stress hormone and optimizing thyroid hormone levels can make a tremendous difference in your ability to lose weight as well as maintain weight loss. Science indicates that your genes affect the way you respond to food and exercise. A Stanford University study demonstrated that people who follow a genetically appropriate diet could achieve 2.5-fold improvement in weight loss and a 2-fold reduction of waist measurement compared to those who follow a genetically inappropriate diet. Actionable genetic testing can provide recommendations that can give you superior results along with metabolic and hormone biomarkers. If you are going to diet, do it right. Find an expert well versed in metabolism, genomics, bioidentical hormone replacement and weight to get superior, long lasting results. Knowledge is power and understanding your unique metabolic, hormonal and genetics can that influence your taste receptors, eating habits, ability to feel satisfied or full, and the type of diet and exercise that works for you will make you the biggest loser of weight.